On the 4th of May 2017 I will be speaking as a panelist at the `Dialog on Deck‘ on the MS Wissenschaft in Trier. The topic will be economic and political aspects to local as well as global means by which climate change can be curtailed. The other panelists are Prof. Dr. Antje Bruns, expert for sustainable development and climate change, University of Trier; Prof. Dr. Günther Heinemann, Polar- und climate scientist, University of Trier; Dr. Dietmar Kraft, climate expert and consultant, Trier; everything being moderated by Martin Schmitt from SWR. This event is organized by the German Ministry of Education and Research. The main idea behind this panel is to have a deep exchange with the general public. So, if you are interested, please feel free to attend and ask questions. You will find us in Trier, on the 4th May 2017, 18.00-19.30, at Zurlaubener Ufer, Anleger Kaiser-Wilhelm-Brücke, Viking River Cruises. The overall language will be German. Together with Cees Withagen and Eric Strobl I organized the IPAG Workshop New Challenges in Environmental Economics 2017, which we held on the 4th and 5th of April 2017 in Paris and which was financed by IPAG Business School. We were really happy to have an impressive line-up of speakers, with a good mix of theory, empirical and experimental papers. For those interested here is the Programme. This will be a recurring event at IPAG so keep your eyes open! We would be very grateful if you can distribute this call to anyone interested. Thank you! We warmly invite you to submit your paper for presentation in the Subconference in Environmental Economics, organized by Ingmar Schumacher (IPAG Business School) and Eric Strobl (AMSE, Aix-Marseille School of Economics and IPAG Business School) and Cees Withagen (IPAG Business School & VU University Amsterdam) at the 8th International Research Meeting in Business and Management that will take place on 5-6 July 2017 in Nice, France. We welcome both theoretical and empirical contributions on environmental economics and resource and energy economics, with emphasis on climate change economics; green growth; welfare, discounting and sustainable development; uncertainty and irreversibilities in dynamic resource use; the nexus between population, economic growth and the environment; environmental policy; empirical studies that focus on economic aspects of the environment. We are very happy to announce that the keynote lectures will be held by Kjell Arne Brekke, University of Oslo, Norway and Lint Barrage, Brown University, United States. Only papers in English are considered. They must be submitted electronically at http://ipag-irm.sciencesconf.org/. Please choose the Topic Subconference in Environmental Economics. On Sunday 5th March there is the deadline for submissions to the ISEFI conference, organized by IPAG Business School in Paris, to be held 22-23 May 2017. Eric Strobl, Cees Withagen and myself are organizing the environmental economics half of that conference, while the rest of the conference will focus on energy and finance. Keynote speakers are Amy Myers Jaffe and Richard S.J. Tol. You can find more information and submission guidelines here: https://isefi.sciencesconf.org/ Please do consider presenting your article if you feel you have a nice contribution to environmental economics that you would like to share with us. This is Nice. Nice is nice. You will see the beach, but you have to work first! It’ll both be worth it though. 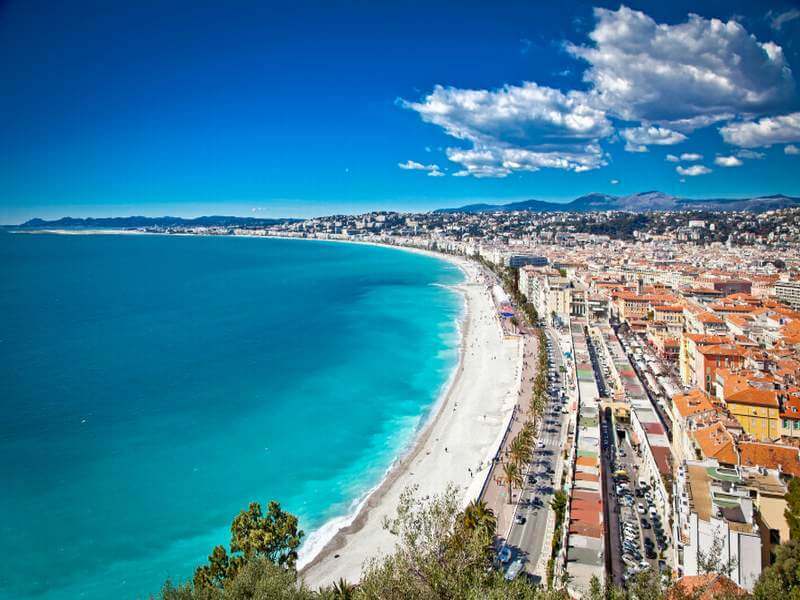 This is the last opportunity to submit your paper to the (sub-)conference on Environment and Economic Growth that I am organizing together with Eric Strobl to be held in Nice, France, on the 11-12th July 2016. This sub-conference, mistakenly named special session (but it is really a bigger event with many sessions), is part of the bigger IPAG 7th International Research Meeting in Business and Management. We have a fantastic selection of very strong researchers with a good variety of research agendas in environmental economics, and if you know me then you know that I do not exaggerate these promises. Submit your papers to the Special Session in Environment and Economic Growth before Tuesday 26th of April 2016 since we now want to finalize the programme. Follow this link HERE and see you in Nice!